Donald L. Van Riper (otherwise known as “Rip”) focuses his practice on Workers’ Compensation matters. He is admitted to practice before all SC Courts and the United States Supreme Court, and is listed in the Best Lawyers in America. He is also available as an experienced mediator through the offices of ETB. Rip is a graduate of the McCallie School in Chattanooga, TN, and received a BS (Biology) from Furman University in 1973. Rip graduated from the University of South Carolina School of Law in 1975 and was engaged in private practice until 1996, at which time he was appointed by the Governor of South Carolina, and confirmed by the South Carolina Senate, to serve a six-year term as a Workers’ Compensation Commissioner. After leaving the Commission, he has represented clients in workers compensation matters. He joined ETB in January 2013 as Of Counsel. Rip was born in Spartanburg SC. He is a lifelong resident of Greenville, SC, and has been active in many local civic and community organizations. 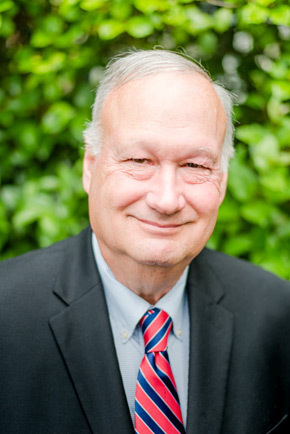 He has served as a trustee of The Holland Society of New York, the Greenville Symphony Orchestra, the Greenville Chorale and the Corporation of the First Presbyterian Church of Greenville, SC.